The state of Alabama operates over 600,000 acres of public hunting land, located in various areas across the state. This makes it very convenient for hunters to find inexpensive places for hunting. However, there are other lands available for public hunting in the state of Alabama that many hunters are unaware of. Many corporations, particularly those in the forestry industry have land that is available for hunting, if you only know where to look. For example, there is quite a bit of paper company land available for hunting in Alabama. Currently, industry publications list more than twenty paper companies operating in the state of Alabama. Most of these companies will own forests that are used for tree harvesting, and most will allow hunting on their forestry lands. In fact, you may even be able to use paper company lands for a deer hunting lease in Alabama. Many of the paper companies are quite happy to accommodate hunting clubs in search of a property to lease for deer hunting. In fact, most paper and forestry companies in the state of Alabama have switched from the practice of allowing more or less public hunting on their land to selling private leases. The reasons are simple: they make more revenue from the hunting leases and they have a better handle on how many people are hunting the land. Using paper company land is often beneficial for the hunt club, too, since most paper companies have a deer management program in place. This means that they will help to make sure that the land does not become depleted from over hunting. To locate paper company land and acquire a deer hunting lease in Alabama, approach their public affairs department. This is the individual most likely responsible for maintaining the leases. If they’re not the right department, they can certainly point you to the right person. In the event that you find that the company has already granted a lease to another club, ask how much time remains on the current lease. If the lease is scheduled to run out in the next year or so, ask if there’s a waiting list for parties interested in picking up the lease in the event that the current lease holders don’t renew. If so, get your name on it. Acquiring paper company land for your hunting leases in Alabama is becoming harder to find simply because much of the land is already leased. However, if you let your interest be known, its likely that within a few years your hunting club will locate a parcel of land for lease. You should be looking at private landowners as well as paper company land for your deer hunting lease in Alabama, too. Exploring all the options will help make sure that you locate your land as quickly as possible. 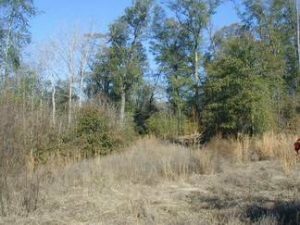 Finding hunting land for lease in Alabama is a great way to secure land for your hunting club. The leases are typically granted for several years at a stretch, and the fees are usually reasonable. It may take you some time to locate some paper company land for your deer hunting lease in Alabama, but it will certainly be worth your while.